December 4, 2013 - Republic Airways Holdings Inc. announced that on Tuesday it has closed on the sale of Frontier Airlines for $36 million plus assumed debt to an investment fund, Indigo Partners LLC. Effective upon the closing of the sale, David Siegel, CEO and President of Frontier Airlines, resigned from Republic’s Board of Directors. Indigo Partners LLC is a private equity and venture capital company specializing in making investments in growth capital. The company makes business investments in the air transportation industry. The company was founded in 2002 and it is based in Phoenix, Arizona. Back in 2008, Frontier had filed for Chapter 11 bankruptcy as a result of First Data a credit card processor holding back proceeds from ticket sales. Upon filing bankruptcy the carrier was able to turn a profit. 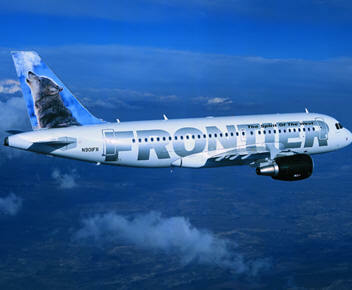 In 2009, Republic Airways Holdings acquire all assets of Frontier Airlines for the amount of $108 million. In January 2012 Republic Airways announced it would sell or spin off Frontier. “I wish my former colleagues at Frontier and their new owner, Indigo Partners, the very best and continued success in the transformation of Frontier to an ultra-low-cost carrier. I’d also like to thank Dave for his dedicated service to Republic over the past four years,” said Republic Airways Chairman, President and Chief Executive Officer Bryan Bedford. Frontier Airlines is headquartered in Denver, Colorado with a hub at Denver International Airport. It operates flights to 77 destinations throughout the United States, Costa Rica, the Dominican Republic, Jamaica, and Mexico. The company operates 56 aircraft (35 Airbus A319-100, 17 Airbus A320-200 and 4 Embraer E-190). The carrier has a code-share agreement with Great Lakes Airlines which connects passengers to surrounding Rocky Mountain States.